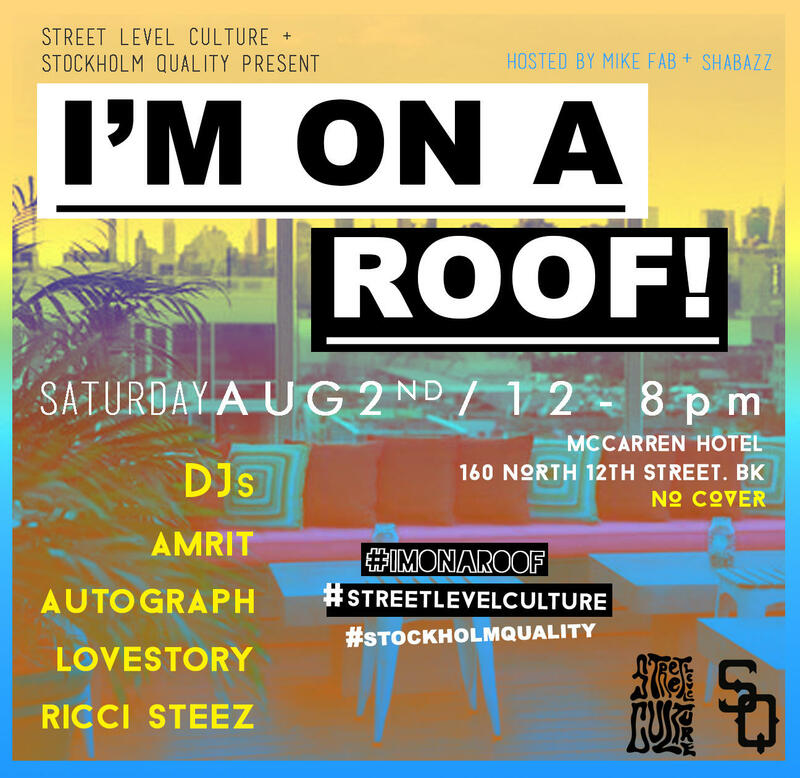 On SaturdayAug 2nd we're throwing a daytime rooftop party at the McCarren Hotel! There will be multiple DJ´s during the day, playing everything from reggae, soul, hiphop, rnb and house to get you dancing and drinking! L train to Bedford Avenue. Big up everybody that came through today's #imonaroof party in Brooklyn. Extra special shout out to @pure_p and @loveb for making it al happen.